As with any truly fun review, I can't afford not to begin with a nostalgic, sappy moment that relates to the band or album. 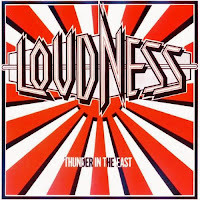 Before I grabbed Loudness's famed Thunder in the East, I knew who the band were and had even had heard a song here and there, but I was never that familiar with their output. They were, after all, the very first metal from Japan to gain worldwide notoriety and an American record deal--certainly no small feat--so I always slapped myself for not getting into them sooner. But that was years ago. I ended up buying Thunder in the East from a music store located in Denver, Colorado based for the fact that I was supposed to have something by them. You know those albums you pass by in the record store and realize they're a staple in nearly in every metalhead's collection? Yep, those. That brings me to their renowned Thunder in the East, the album that effectively broke them from their home turf and catapulted them across the globe. The more I think about it, the more I praise the Metal Gods for letting them leave Japan because a good portion of Japanese music stays hidden in the country. I digress, however, because that isn't the point. The point, here, is Loudness's fantastic music. As I understand it, Thunder in the East brought a slight commercialization in sound compared with previous records and was written entirely in English. Presumably, this was to reach a wider audience, which I don't blame them for, and I'd say it worked out well because the album reached higher popularity for the band. The sound is, to an extent, similar to something you might find with a lighter band's music, albeit with a few fundamental differences that push it over to the heavy metal side of things, namely riffs that scream blitzkrieg, nasty guitar solos, and extended instrumental passages and songwriting typical of traditional heavy metal. 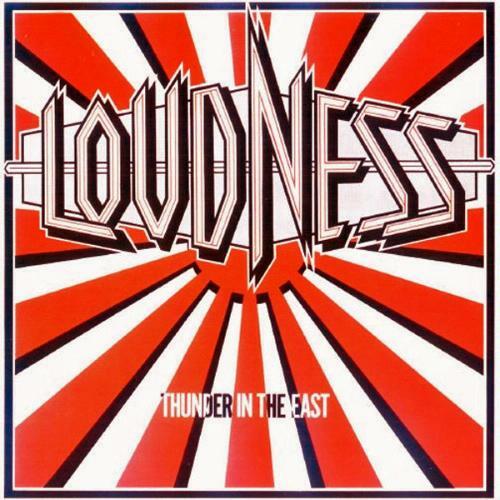 Loudness took heavy metal and made it completely accessible to the mainstream: massive choruses, fist-pumping anthems, and colossal hooks. Without these, I fear they would have fallen into the pit of heavy metal bands that reek of sub-par musicianship--the ones that are decent, but show nothing little dexterity in terms of songwriting. Takasaki's talent, as both a guitarist and composer, was tough to combat, especially when luck was on the band's side concerning an entrance to the worldwide market. Most tracks on the record are mid tempo rockers and are crammed with guitar solos, some of which are neoclassically-influenced. 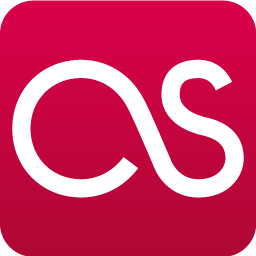 So, if the musicianship is what makes the album as special as it is, what are the best tracks? I knew I would enviably get to this section of the review, and it's quite tough to pick out the best of the best because every composition feels like quality. Favorites are probably what I'm going to have to pick because Thunder in the East has no shortage of strong material. "Get Away" was the first song I remember screaming about because of the wonderful guitar riff. Likewise, "The Lines are Down" pounds you in the face with fiery ambition, and "We Could Be Together" blends assault and candied chanting together, resulting in the famous Loudness hook. "Like Hell's" wonderful neoclassical guitar run inspires me every time I hear it--it's part of what makes Takasaki so great. From the moment I placed the album in my CD player and "Crazy Nights'" guitar riff broke the silence, I loved the record. The distortion is, simply put, astonishing, and even today it still hints at the greatness that came from overseas in Japan. 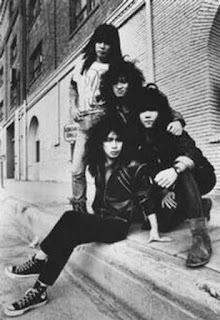 Think about it: if Loudness did not have the balls to break into the worldwide metal scene, where would Japanese metal be in the modern age? I think Sigh, one of the country's other esteemed metal acts, owe a lot to Loudness and Thunder in the East because of that. Would Japanese metal be in its current state without this record? Who knows, but it certainly would not be held in high regard.